%VIRTUAL-SkimlinksPromo%Thousands of post offices are to be modernised under a £640 million investment boost aimed at maintaining the network over the next few years. The Government said the current number of 11,500 branches will be maintained until 2018, services will be improved and a "new style" of branch introduced. The Communication Workers Union said up to 4,000 postmasters faced compulsory redundancy under the plans while the postal consumer group said the announcement will pave the way for compulsory changes to thousands of post offices and will "radically reshape" the network. Paula Vennells, chief executive of the Post Office, said: "We are investing to dramatically improve what we offer, making it easier for customers to do business with us and enabling us to become more commercially sustainable in the future. "We are modernising our branch network, increasing the range of financial products we offer and providing new digital platforms. We are going to be wherever our customers are, whether it is close to home, to work or on-line. "The additional funding confirmed today allows us to develop our branch investment programme and bring its benefits to more customers. It will see up to 8,000 branches modernised and additional investment in over 3,000 community and outreach branches. Over 1,400 have already been modernised since April 2012 with 34,400 additional opening hours across the UK. 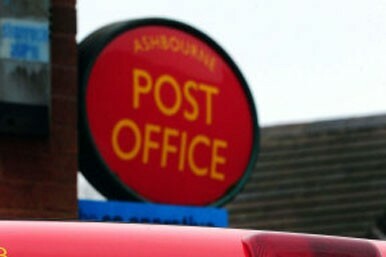 "The size of the branch network will be maintained at around its current position of over 11,500 post office branches. Customers have been clear, that they want Post Office services in their communities and on high streets; we want this too whilst also meeting their changing needs, and in turn helping subpostmasters thrive." Jo Swinson, Postal Affairs Minister, said: "Today's investment will continue to build on the success of the Post Office modernisation programme which is already well under way. "We recognise the important service that post offices provide to small and often remote communities, sometimes even as the only shop in the area. This is why we are dedicating specific funding to support modernisation and strengthen the existence of these branches. "All of this will help build a strong platform on which the Post Office can attract customers and win services so that it can continue to grow its business and thrive." Consumer Futures said much of the new package will be spent making it compulsory for subpostmasters to leave or convert to a new-style branch without making new operating models more attractive to new operators. Director Adam Scorer said: "This raises real questions about how the public would be served if new branch models do not appeal to a wider range of subpostmasters and retailers. There are also long-term questions over the future of post offices in communities where a new operator cannot easily be found, for example in many edge-of-town and suburban locations. "There are increasing risks that the programme will be led by the needs of operators, not consumers, and that in order to appeal to new operators the potential benefits of new operating models, for example longer opening hours, could be squeezed." Shadow business minister Ian Murray warned that the announcement risked "hastening the demise" of the Post Office because it demonstrated a modernisation and transformation programme was not working. He told the minister in the Commons: "You dress up this statement as good news but today's announcement of an additional £200 million on top of £440 million already trailed beyond 2015 means we can firmly say there is a vote of no confidence in what this Government is doing to the post office network." Billy Hayes, general secretary of the Communication Workers Union, said: "The Government can no longer deny that this is not a closure programme. "Thousands of long serving and very experienced postmasters and their staff will be put on the scrap heap, and the public will lose forever the dedicated and professional Sub Post Office service, that has stood the test of time. "CWU is calling for the Post Office and the Government to retain the voluntary aspect of the Transformation Programme and to fix the problems that stand in the way of existing postmasters in fully engaging with the programme. "We cannot afford to throw away all this experience and dedication. It is the postmaster and their staff that the public identify with and trust. This relationship has made the Post Office brand one of the most trusted in the UK. These proposals are set to tarnish that brand and will betray the trust the British public has in the Post Office." National Federation of SubPostmasters General Secretary George Thomson said: "The NFSP welcomes today's announcement of additional funding for the post office network. This new money, together with changes agreed to the Network Transformation programme, will allow many subpostmasters to build and enhance their retail business and give their post office a chance of a more viable future. "However, the changes to Network Transformation will undoubtedly mean a radical reconfiguration of the post office network, which is only necessary as a result of the Government's total failure to provide the promised new 'front office for government' work for post offices."